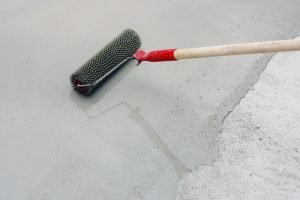 Epoxy floor coatings are usually two component systems which consist of epoxy resins and curing agents. With its chemical resistant quality and protection from multiple industrial problems, epoxy flooring is suitable for industrial environments, workshops, and even for at home. However, epoxy does not only contains practical solutions. The coating improves the appearance of your floor and gives it a beautiful shine as well. Mumbai is home to a mixture of different industries. Some of the key sectors are the; pharmaceutical industry, automotive industry and the manufacturing of a variety of products. Therefore, the demand for epoxy flooring is rather high. Since there are over 270 flooring contractors in Mumbai, it can be challenging to find the right one. Therefore, we selected the experts of epoxy flooring in Mumbai and listed them for you below. In case you are interested in a special type of epoxy flooring take a look at our article about using epoxy in creating 3D effect floors!